The heating system is one part of the intelligent building control. A temperature sensor can be used to measure the temperature value of the office or a specific indoor space to check the indoor temperature condition. With these values, a logic controller can control the heating system and adjust the room temperature. 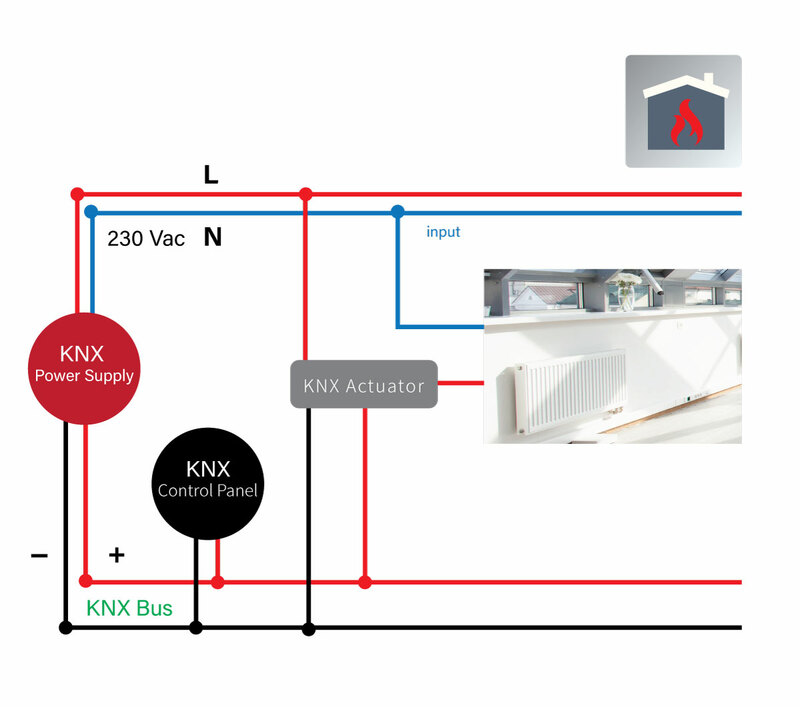 To meet this kind application, MEAN WELL developed the KNX bus power supply KNX-20E and KNX-40E to provide KNX equipment power. For KNX logic switch actuator, KAA-8R can control the heating circuit and switch the heater on and off on the heat sink or in the underfloor heating system. Depending on the device model and parameter settings, the heating system can be controlled via switching parameters or pulse width adjustment(PWM). It is not only suitable for private residences, but also for commercial building usages, such as office buildings, schools, and hotels.